I studied sample questions and old exams nothing more. The exam has a writing section, a reading section, listening and finally conversation. Keep in mind you are doing the IELTS General exam not the academic one. I just gave my test on aug 3rd. I prepared from the courses below. and you can learn reading, listening and speaking tests by the link below u get 2 months of free courses. Join a global learning community to create, connect, and collaborate with students around the globe. 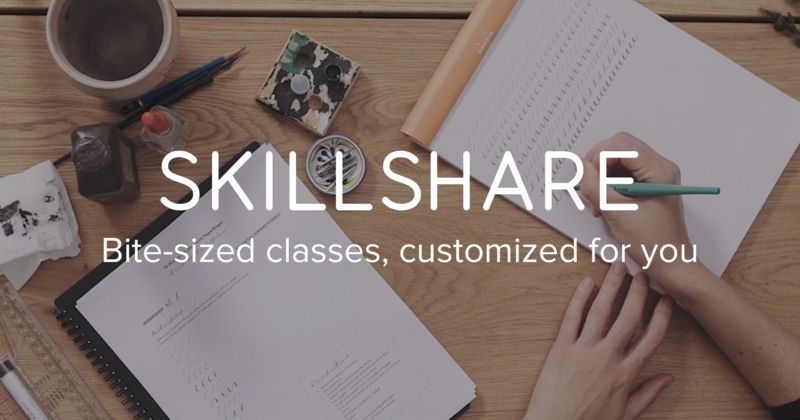 Skillshare offers online classes to fit your schedule with bite-sized lessons from industry leaders that will help you turn ideas into action. these are small courses and the tips are useful. In addition, I practiced listening tests in youtube. Both of these look great. How was your test? @blg.chaitanya - hope you had great result? I just got 7.0 band. I guess that means you qualify to apply. Yes, but I am not sure I can get CRS score above 400 with this IELTS score, masters degree and 2 years job experience. Get a Canadian Job first (With work visa’s timelines down to 2 weeks) you can file for PR as soon as you get here. If you’re married have your wife take her IELTS and claim her years of education. I had a question regarding IELTS. I am planning on giving it in 2 weeks. I saw it mentioned somewhere that we need to provide proof that we are giving the test for immigration purposes and only then would we be issued two copies of the test results. Is there any documentation that we need to provide when we register for the exam or when we go to attend it? As far as I know there is no proof of immigration required (none exists). When registering you need to specify that you are taking this test for immigration proposes its a question on the registration form. This will get them to send you two copies of the TRF. Its best to confirm with the country center for IELTS if you need to pay for this additional TRF. While this is a late reply for OP, I’d like to chip in and say that http://ieltsliz.com/ was one of the best resources I used for IELTS preparation - highly recommend it to anyone who’s serious about preparing for the IELTS, both from an immigration standpoint and otherwise. If your English is good you don’t have to prepare much. However I would like to point out that IELTS is slightly tougher than TOEFL (if you’ve ever given it). The only thing you may need to practice is the speaking question where they will ask you some seemingly random question, e.g. : “Tell me a bit about your favorite sportsperson”. Being a Sachin fan that wasn’t a problem for me, but still I needed to talk for the next 5 mins about his career etc. The listening section should be easy as you’ve to listen to an audio once and answer some questions. The writing and reading sections are more challenging as you’ve to write an essay with a pencil (writing) and read a passage and answer questions (reading). The actual writing part was tough for me since I’m pounding on the keyboard all day. And the reading part involved a lot of comprehension as well as re-reading the passage and answering the questions. I’m not trying to scare you or anything but don’t take it as lightly. Atleast do one practice exam and practice speaking with your friends. I just gave my ielts last week. For me speaking was the toughest. I thought i could ble on any topic but this one was bit difficult. My topic was something along the lines of why do we think its necessary to teach kids politeness and be respectful of one another. I could not come up with enough content to talk on that topic for 2 minutes.